In Musonius’ Lecture/s on food, we hear straight off that, “On the subject of food he used to speak frequently and very emphatically too…”. The reasoning given is that as food is something we are obliged to handle daily, it is a key tool for developing the virtue of self-control. Musonius seems to layout three sorts of foods. Natural foods which do not require fire for preparation. Seasonal, fresh fruit, some vegetables, cheese, honey, etc. Natural foods which do require fire for preparation. Namely meat-flesh in the first category, but also dainty foods like sweet cakes, extravagant dishes, dishes which harm the health, etc. Additionally, in this paper that I’m currently reading, ‘Food and Counter-cultural Identity in Ancient Cynicism‘ the author Notario makes the statement that food choices are a key practice and symbol for in-group/out-group identification. We can see that in the religious prohibtions in Semetic religions, national cousines, and societal choices about acceptable foods (cow, chicken, horse, dog, muskrat?). In the cases of the Stoics, Cynics, and Pythagoreans it is also a counter-cultural act. Paleo diet fans: trigger warning. 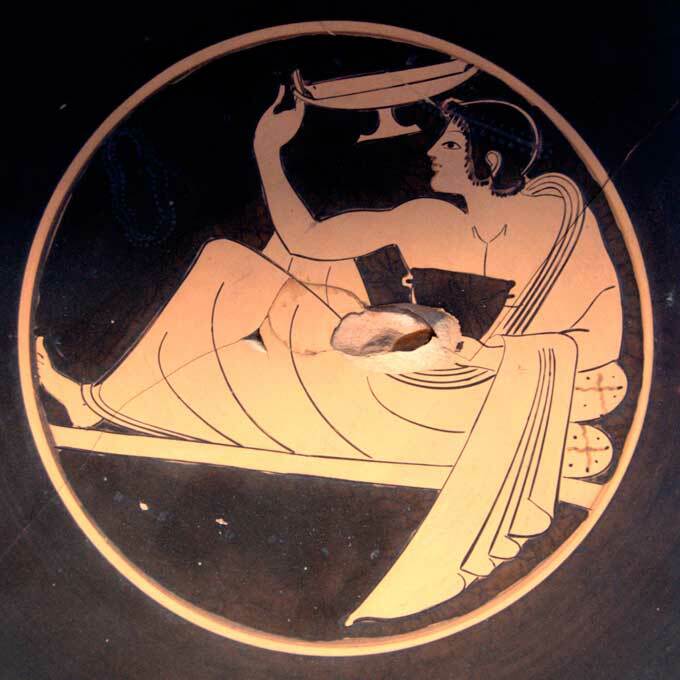 Notario states that up to 80% of the calories of the ancient Greek diet were provided by cereals. He treats at times dietary choices like a text, noting that the Cynics and Stoics repudiated the fancier foods, and extolled the virtues of the simple foods of the Everyman. One of those is madzae/maza, a sort of barley cake (in the sense of party not a sweet treat). A recipe for the food can be found here. I gave my hand a try at this, and found it to be surprisingly tasty. The author notes that it tastes of Honey Smacks cereal (red box, Frog), and that is spot on. The grainy texture seems a little unavoidable, however your diligence with a mortar and pestle, or in my case a repurposed coffee grinder, may vary the degree. I made the simplest ones, but I can see how adding some cheese or a bit of honey would be a nice change of pace periodically. Over in the Cynosarges group on Facebook we’re putting together a “Philosophical eating plan” based on the prescriptions of Musonius, and the examples of Diogenes and Crates. If you’re interested in collaborating, or making use for the final product, head over there and check it out. CERP: Day 37 – Diogenes Eps. 41-45. So the rich appetites of Plato are compared to the gluttony of sheep, ever eating. This harkens to the “wealth is not in having many possessions, but few desires” line we hear in Cynic and Stoic sources. I do especially like the parting shot and mic drop of “But if this does not convince you, then practice fondness of pleasure and mock us for not knowing much.” Boom. This is a pretty pessimistic outlook, and its interesting how much this changed with Stoicism, esp. Musonius for whom family life is a form of piety.